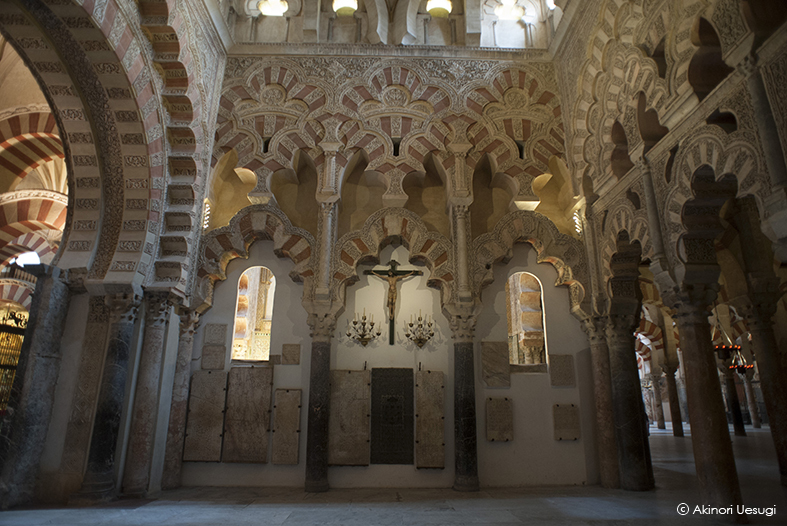 After the arrival of Islam to the Visigothic kingdom, the church was divided between the Muslims and Christians. 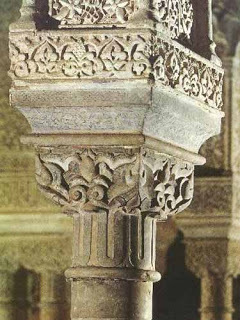 When the exiled Umayyad prince Abd ar-Rahman I escaped to Spain and defeated the Andalusian governor Yusuf al-Fihri, he allowed the Christians to rebuild their ruined churches, and purchased the Christian half of the church of St. Vincent. 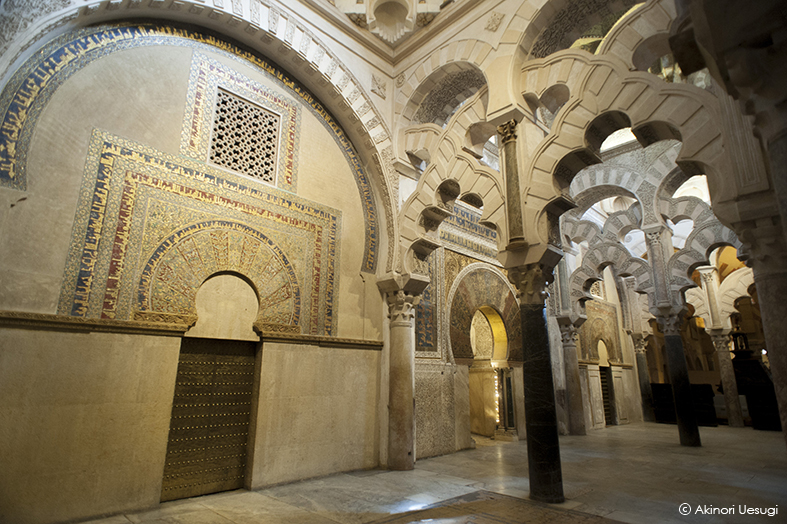 Abd ar-Rahman I and his descendants reworked it over two centuries to refashion it as a mosque, starting in 784. 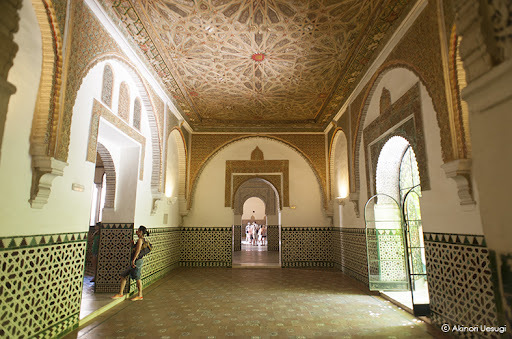 Additionally, Abd ar-Rahman I used the mosque (originally called Aljama Mosque) as an adjunct to his palace and named it to honor his wife. 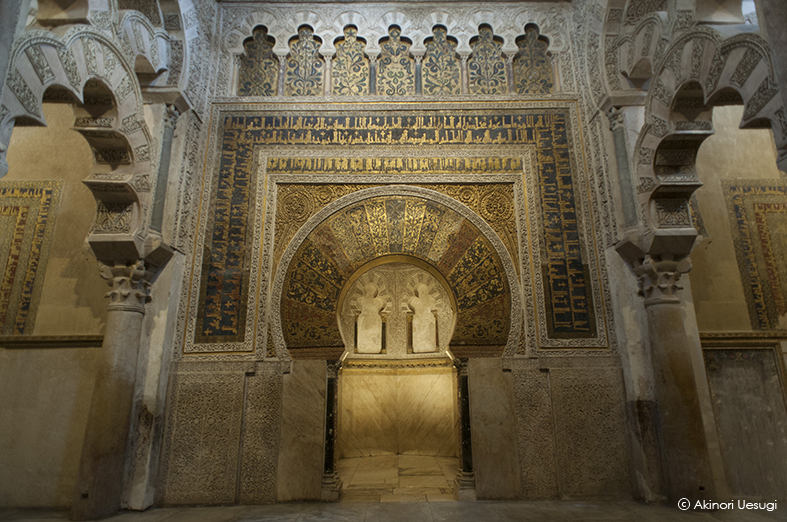 Traditionally, the mihrab of a mosque faces in the direction of Mecca; by facing the mihrab, worshipers pray towards Mecca. 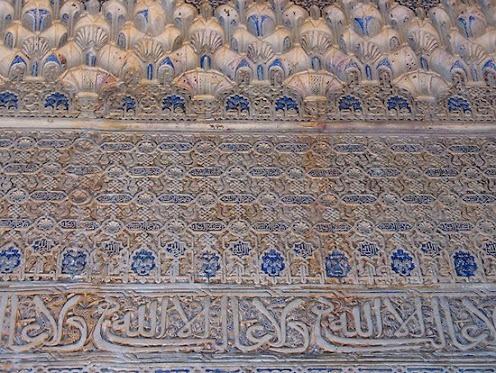 Mecca is east-southeast of the mosque, but the mihrab points south. 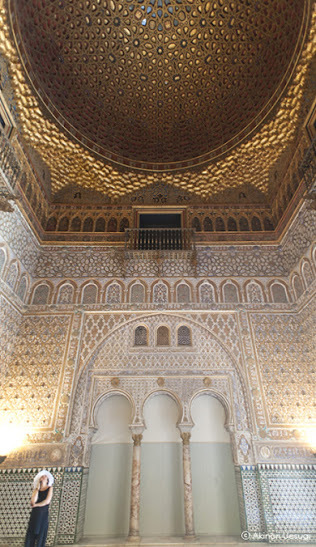 The mosque underwent numerous subsequent changes: Abd ar-Rahman II ordered a new minaret, while Al-Hakam II, in 961, enlarged the building and enriched the mihrab. 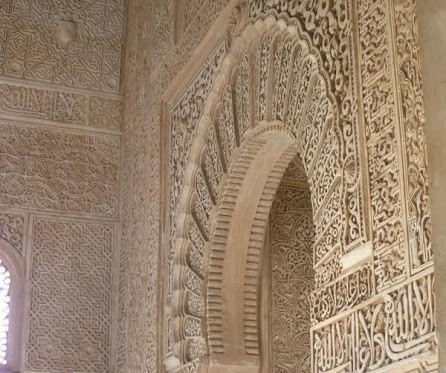 The last of the reforms was carried out by Al-Mansur Ibn Abi Aamir in 987. 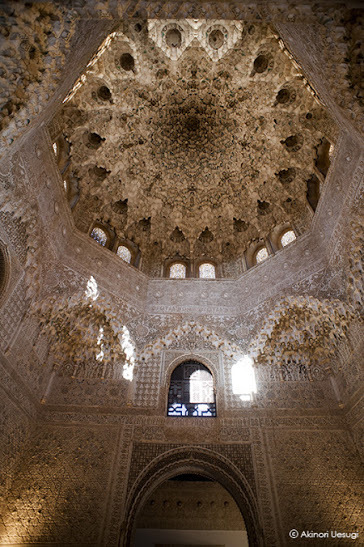 It was connected to the Caliph's palace by a raised walk-way, mosques within the palaces being the tradition for the Islamic rulers of all times. 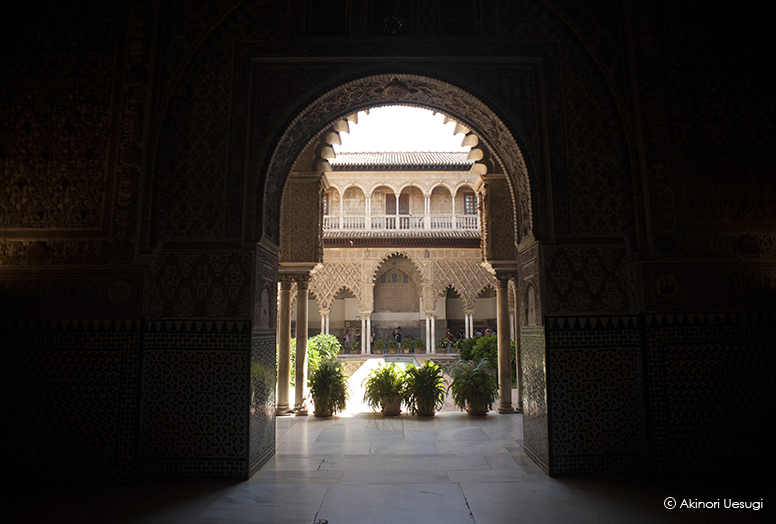 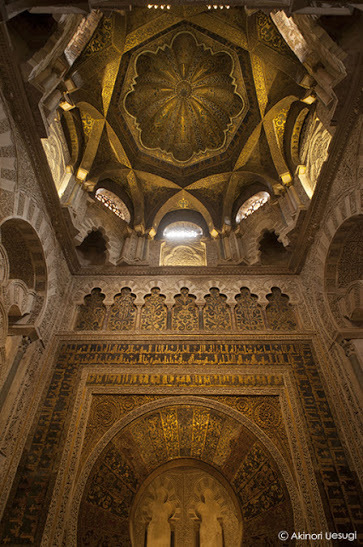 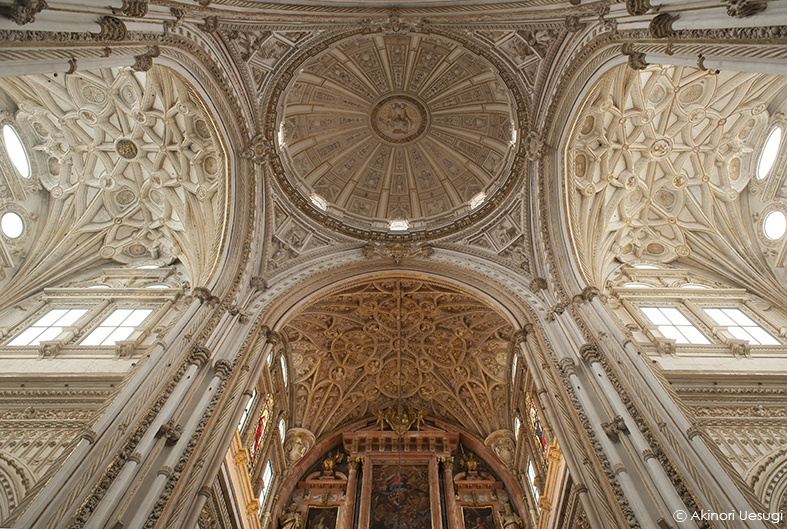 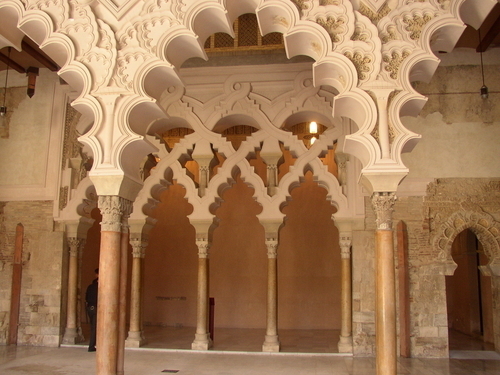 The Mezquita reached its current dimensions in 987 with the completion of the outer naves and courtyard. 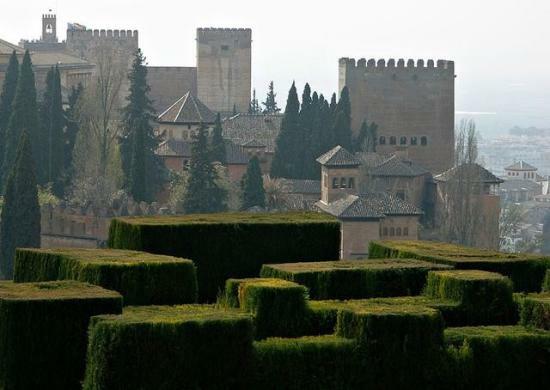 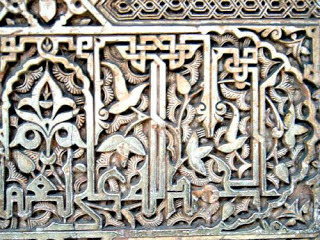 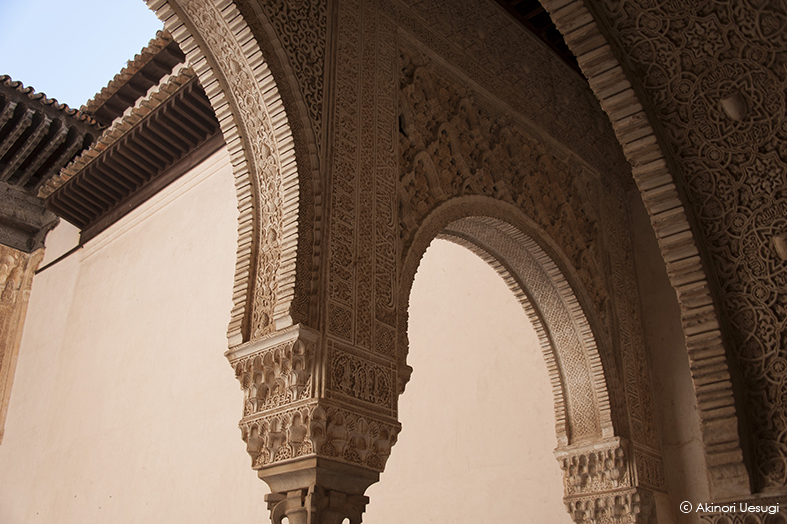 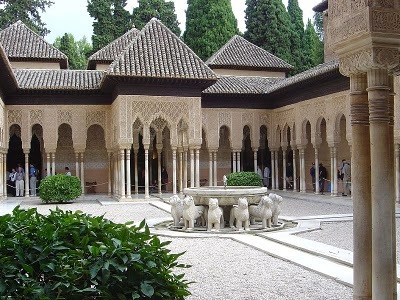 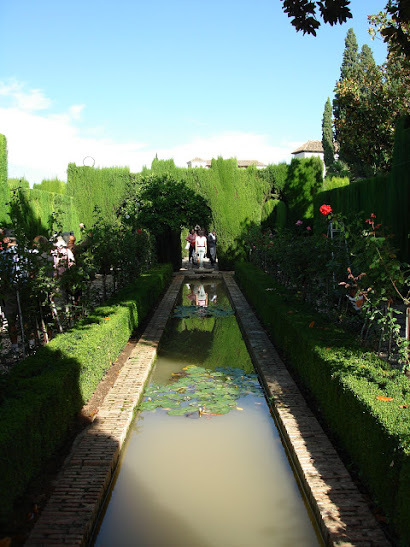 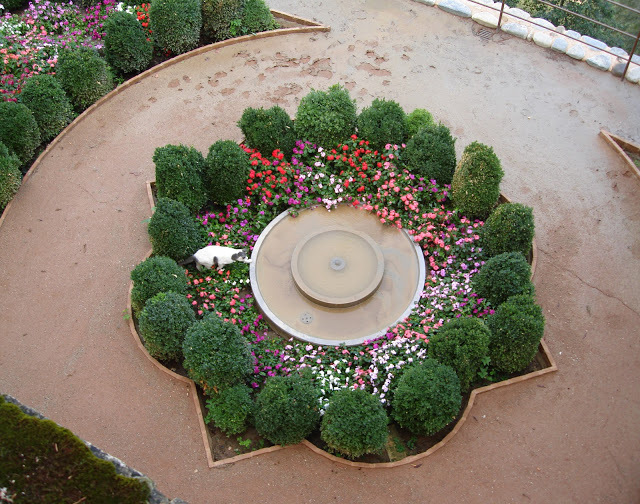 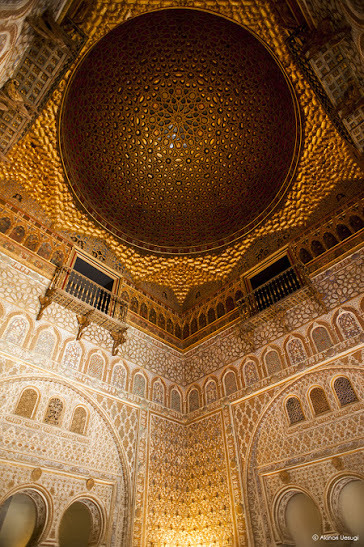 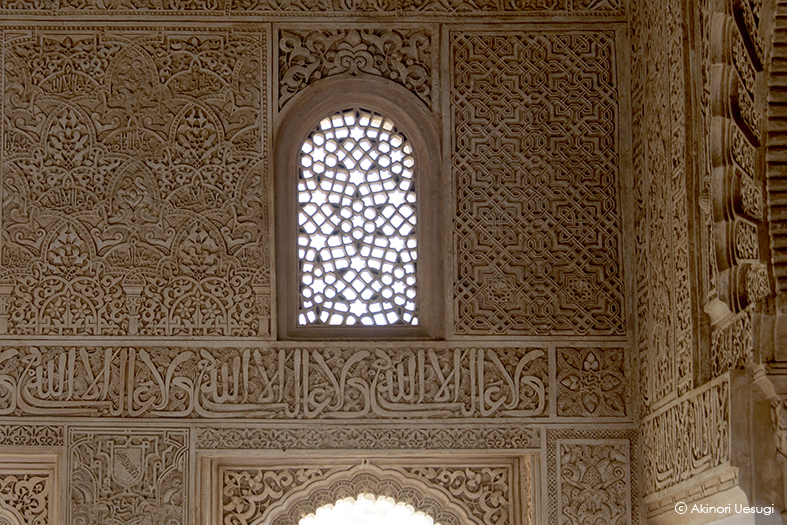 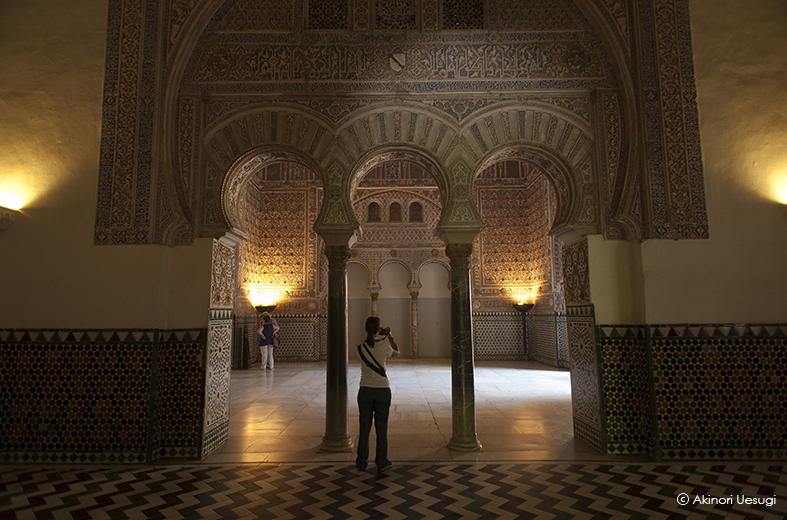 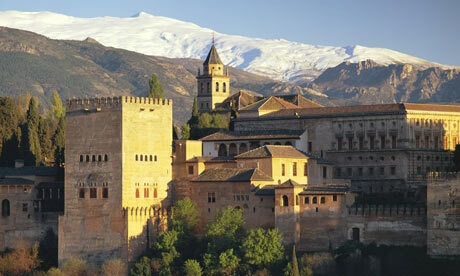 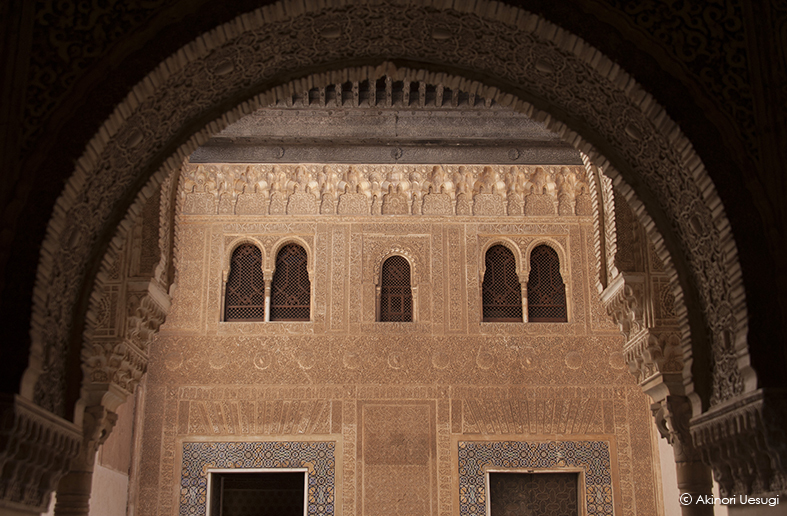 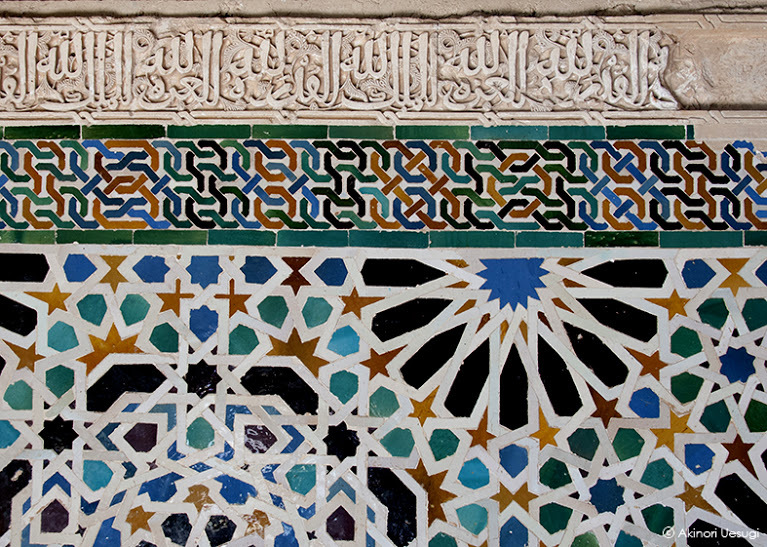 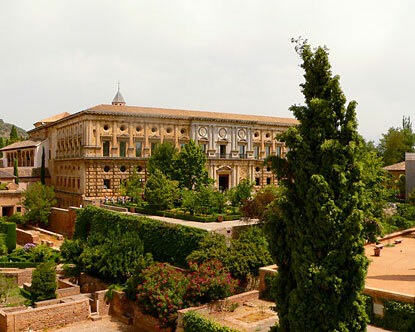 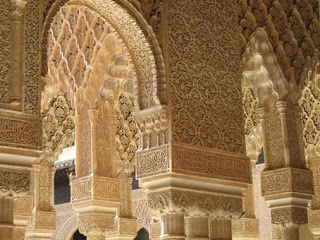 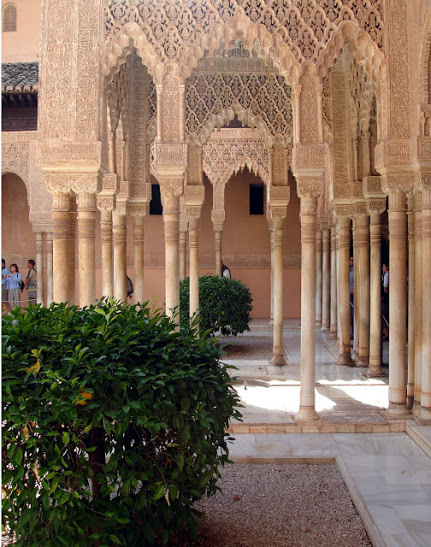 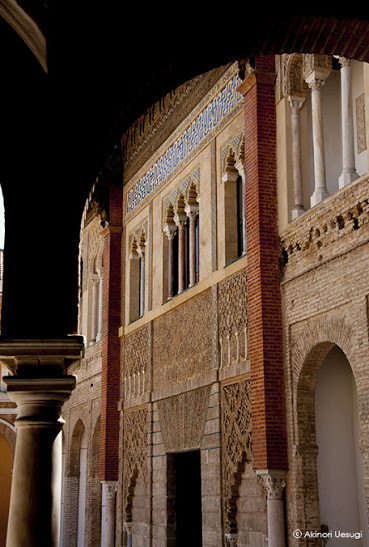 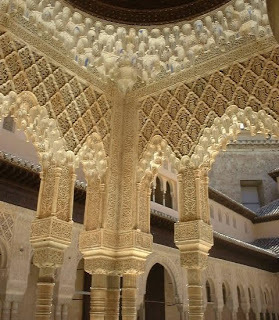 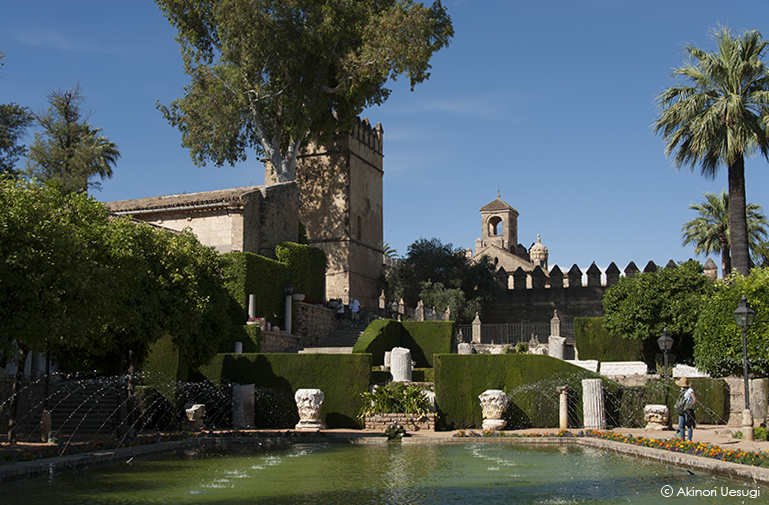 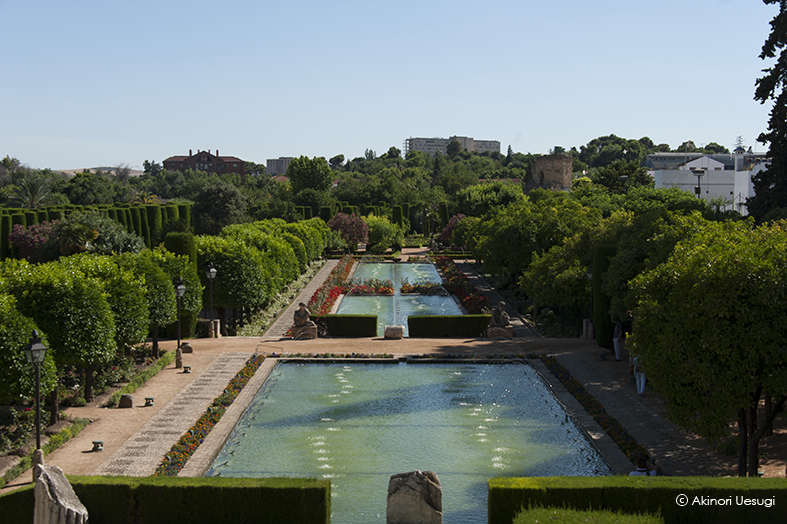 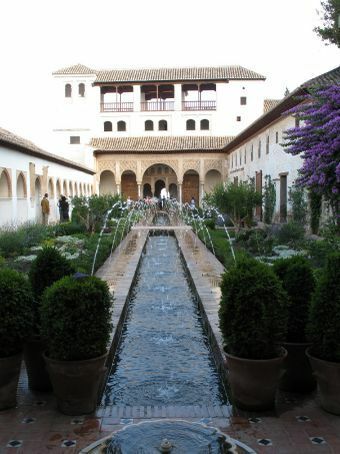 Alhambra Palace is a symbol of Islam's Glory in Spain. Islam was brought into the country by the Islamist forces led Tariq bin Ziyad sent viceroy of Islam in Africa, Musa bin Nusair. 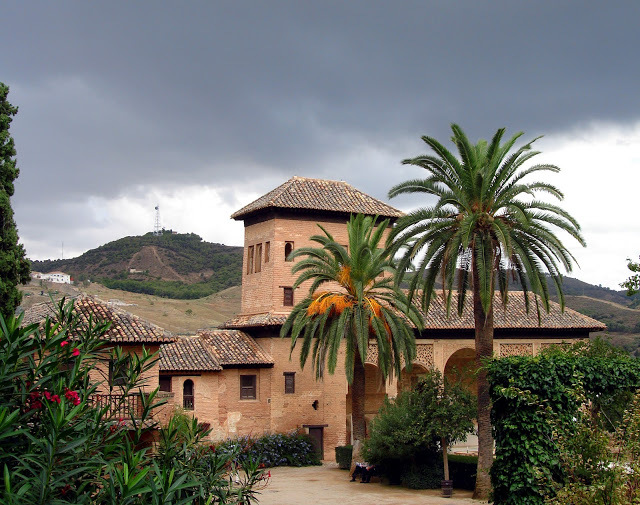 Troops came to liberate Islam Andalusia (Spain) at the request of the great chaos Governor Ceuta, Julian. 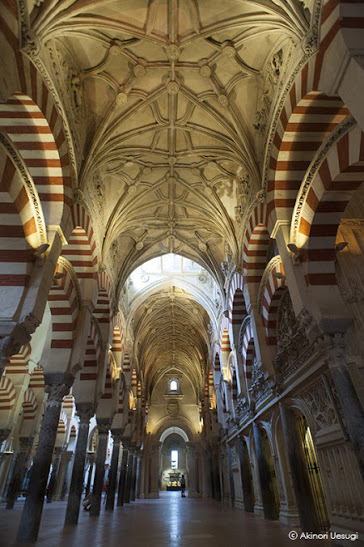 Tariq carrying about 12,000 troops to Gibraltar in May 711 AD He entered Spain through the strait between Morocco and Spain were then given a name in accordance with its name, Jabal Tariq. 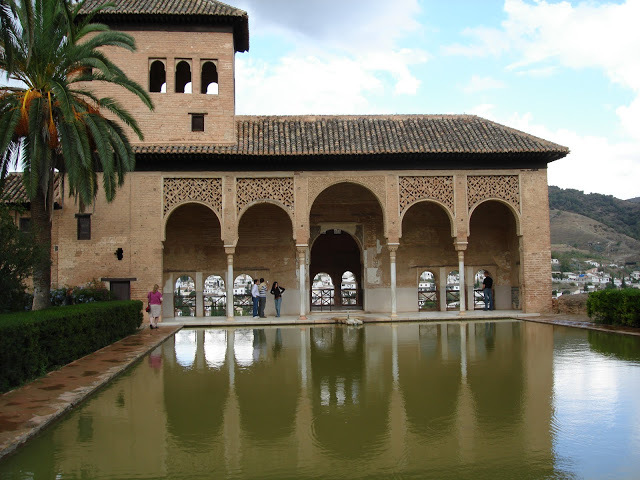 On 19 July 711 AD Islamic forces defeated the Christian army in the Barbate River estuary, and kept control of important cities-Toledo, Cordoba, Malaga and Granada, until Spain was under the rule of the Umayyad Caliphate (Syria). 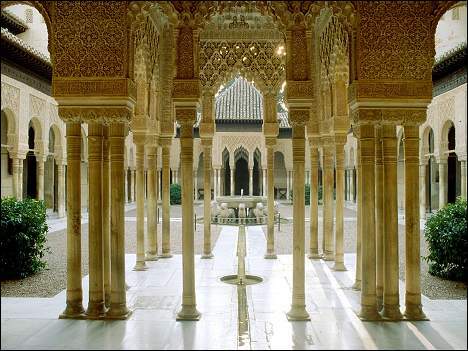 A number of the Islamic empire was established in Spain, as in Toledo (Raja Muda, 711-756 AD), Malaga (King Hamudian, 1010-1057), Saragoza (Tujbiyah King, and King Huddiyah 1019-1039, 1039-1142), Valencia (King Amiriyah, 1021-1096), Badajos (King Aftasysyiyah, 1022-1094), Sevilla (King Abbadiyah, 1023-1069), and Toledo (Dzun Nuniyah King, 1028-1039). 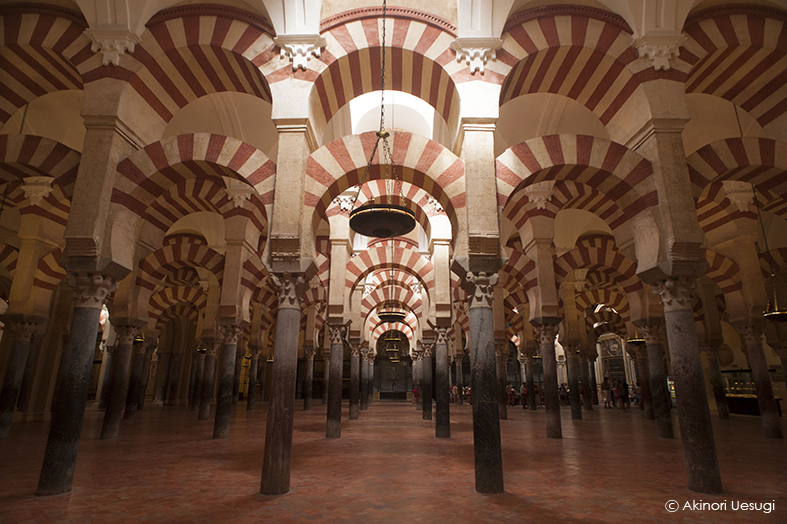 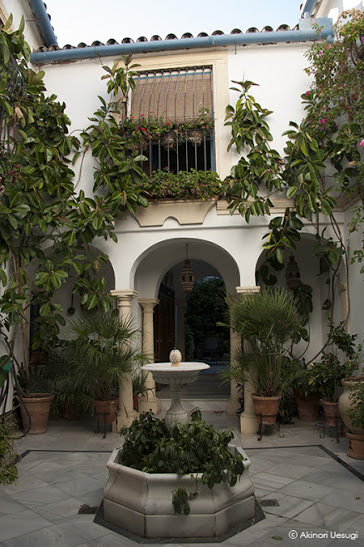 Nearly eight centuries of Muslim rule in Spain with its capital Cordoba. 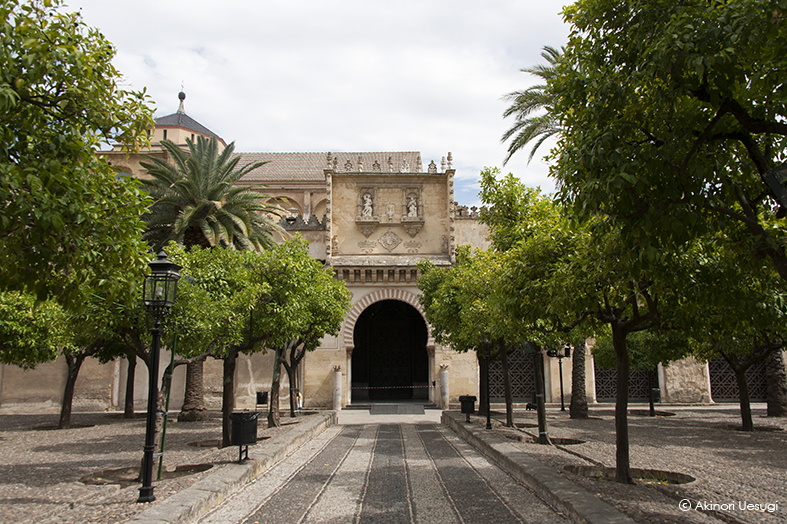 In addition to the Alhambra Palace, one of the important monuments of Islamic glory Cordoba Mosque in Spain is now beralihfungsi into the Church of Santa Maria de la Sede or cathedral "Virgin of the Assumption".